Wednesday Timeless Classics: The Three BEST Songs in the World for Rolling Hills! Teaching rolling hills in your cycling classes is an incredible way to bring the outdoors indoors, but there are two ingredients to making them not only fun, but also safe and effective. The first ingredient is to teach them in an authentic way that respects how a cyclist would approach undulating hills on a bike outside. This is true even if you or your riders do not ride bikes outdoors. The second ingredient is music—exciting, engaging, empowering, and fun music that ebbs and flows, helping you define your uphills and downhills. I explained in detail how to coach rolling hills in this Obsessed with Cycling Drills. In that article, I included two tracks to explain how to listen for the builds, crescendos, and releases and how to use your own interpretation of the music to coach them, and I promised to post my three favorite rolling hills songs soon. 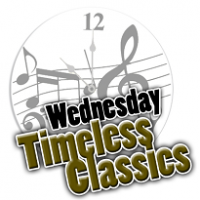 Since they are timeless classics in the Spinning® community, there is no better place than this Wednesday Timeless Classics music resource post to present them to you. I honestly do believe these three songs are the best for rolling hills that I’ve ever heard. I’ve been using them for two decades and I can’t help but use them for this drill. Two are progressive trance with emotional builds, crescendos, and releases that help draw out your best effort on the uphill attacks. One of them actually changes tempo throughout the song—a rarity. The other is a classic rock song that will have everyone singing along…that is, if they have any breath left! All of them I’ve used in past ICA profiles, so I’ve included the link for you to access those profiles as well. But I think you’ll enjoy these songs so much, you’ll be sprinkling them in as rolling hills drills in a lot more of your own profiles.